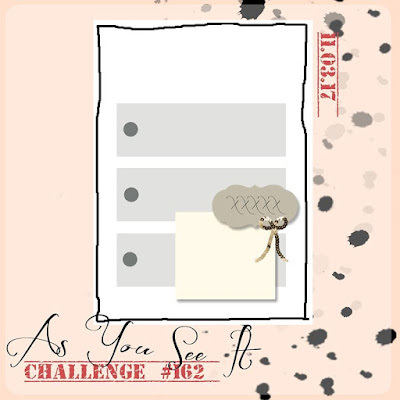 Friday is time again for something new at As You See It Challenge and this week, we have a sketch challenge. 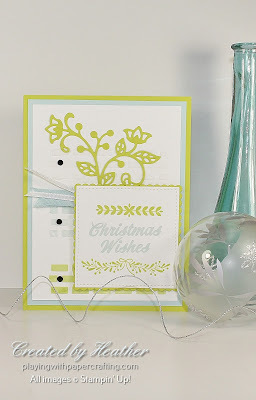 I decided on a fairly pastel palette of Lemon Lime Twist, Soft Sky and Whisper White, which can look Christmassy under certain circumstances, I guess - like when you come right out and say, "Christmas Wishes" !! 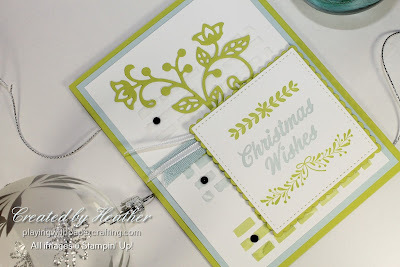 When I spread the embossing paste I started at the top with the white. 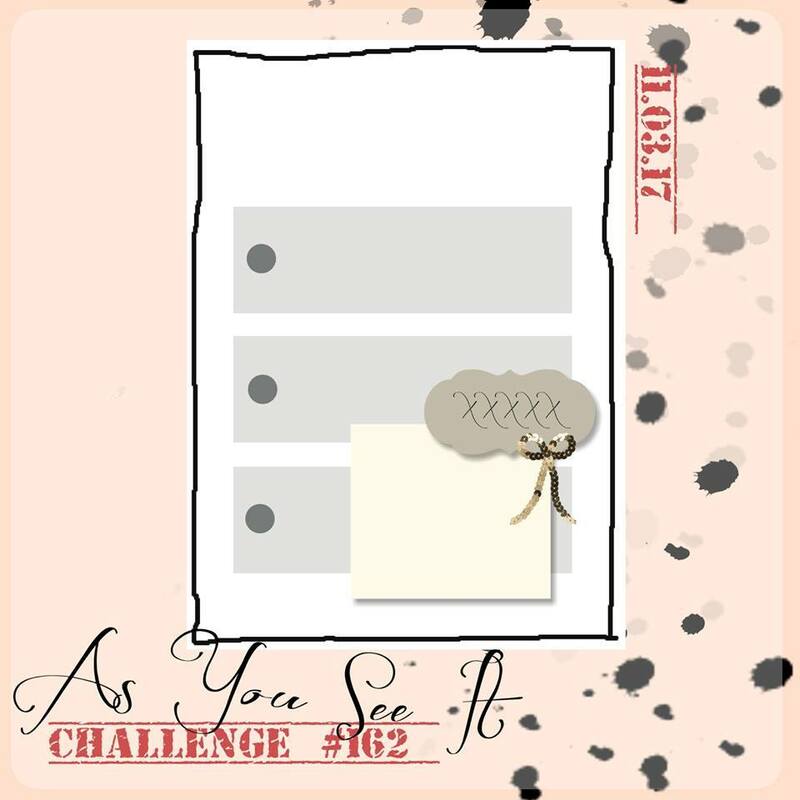 When that was applied, I added the Soft Sky reinker to it for the next panel and, once that was applied, I added lots of Lemon Lime Twist reinker to get the green colour for the bottom panel. No waste that way! 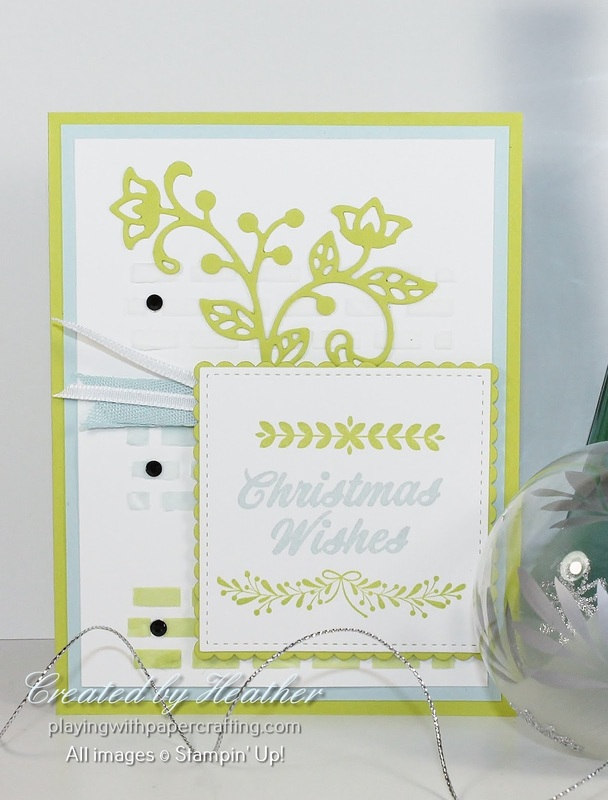 The sentiment is from the Merry Mistletoe set from the Annual Catalogue. 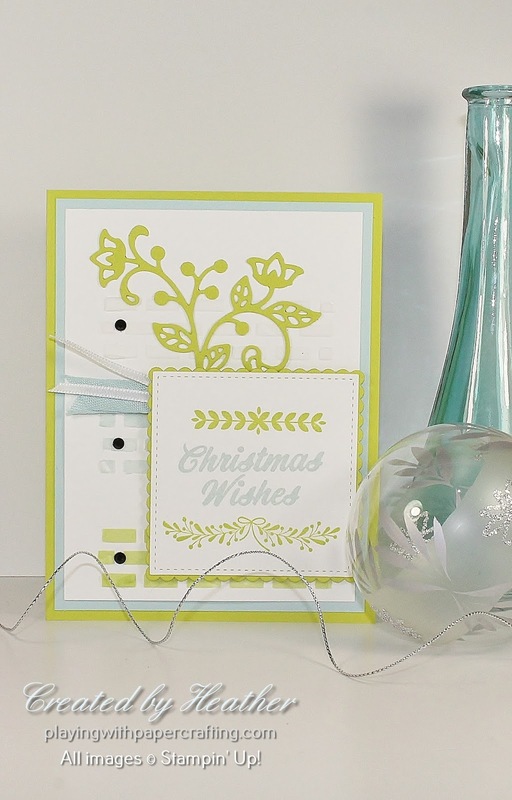 I felt that the quaint, folksy designs and lettering would fit well with this card. 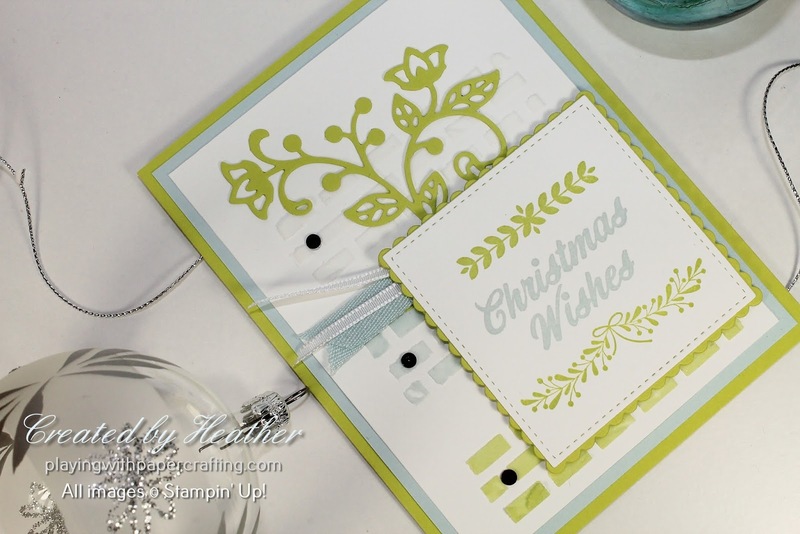 I needed something to tie the bricks and the sentiment together and I finally decided that a vine of some sort would work, so I used the Flourish Thinlits to die cut a vine from Lemon Lime Twist. It made me think of that old Christmas song, "The Holly and the Ivy". Something fairly definitive was required to mark the 3 panels on the left, as in the diagram. I decided that Black Rhinestones would do the trick, plus I need to use them up before they retire!! And that's a wrap for this week! I'm still coughing myself crazy, so I apologize for the lateness of the newsletter. It is coming, but I can only work on it for a little while before I have to go and lay down again, so it's slow going. It will get there however!